A classic specimen which, aside its esthetical quality, has the feature that it has very well-defined crystals, free of damage and totally natural, without the polishing so frequently seen on the Tyrolean samples to make them more esthetic. Excellent sample both for its size and for the definition of the dodecahedral form. The label shows that it was collected by Mr. Marçal Lloria in 1973. 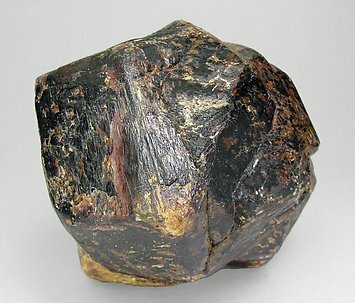 Isolated trapezohedral Almandine crystals with very well defined faces and edges, with very finely growth-oriented striations on the faces, transparent, bright and with a very intense and uniform color. 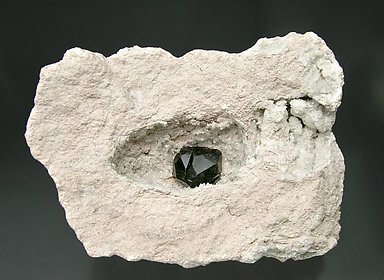 They have grown on a group of Quartz crystals, one of them clearly dominant, with a feldspar matrix. We’ll send to the buyer the original label and also a copy of the computer card with the full text of the collection catalog. Group of two very bright trapezohedrons with very sharp faces and edges in a vug with small crystals of Quartz. 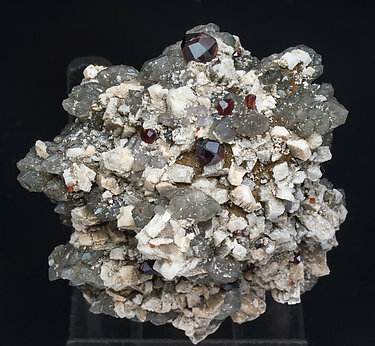 The dark color of the Almandine contrasts strongly with the slightly pinkish rhyolite matrix. 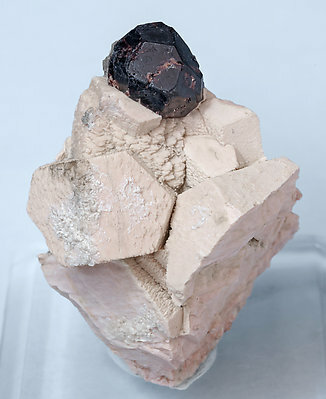 Isolated trapezohedral Almandine-Spessartine (Series) crystal with a good size for the locality. 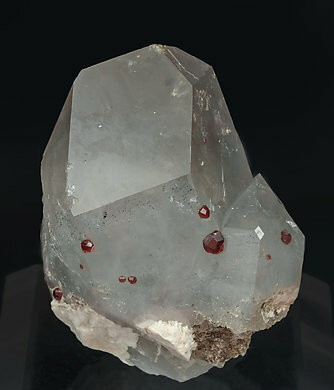 It has very well defined faces and edges, is translucent with vivid reflections that are between brown and red in color and it is on a matrix of Orthoclase crystals with a very well defined Baveno twin on its prism faces. 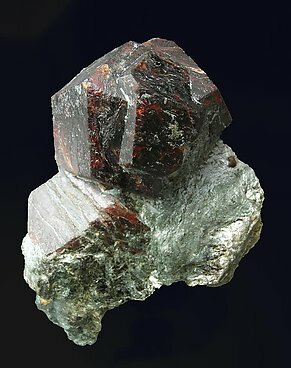 Trapezohedral Almandine-Spessartine (Series) crystals with very well defined faces and edges, transparent, bright and on matrix with Quartz crystals and manebach twinned Orthoclase crystals.